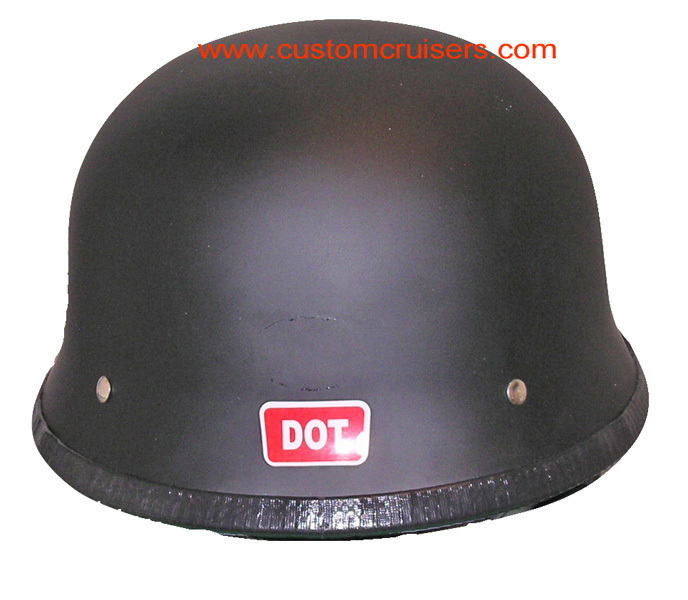 DOT Matt Black German style helmet. Y-strap with quick release. Great looking! Note: This helmet meets DOT standards (US Legal). 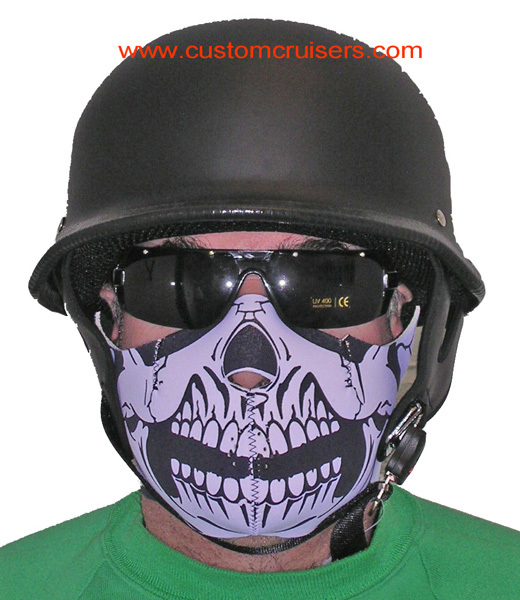 , Made from fibre glass, painted and lined with thick polystyrene,affords some protection and is ok on a trike or at shows but not legal on motorcycle on UK roads. 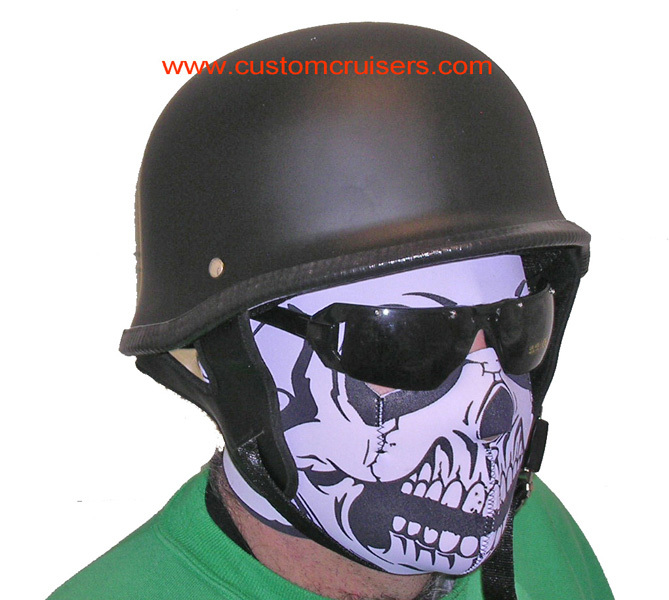 Shown here with skull face mask.